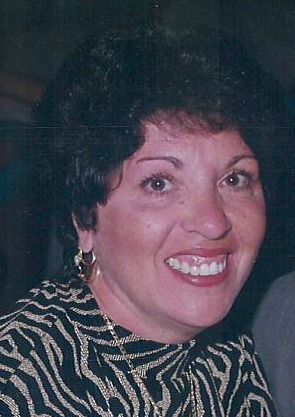 Patricia A. Perno (nee Fanelli), 73, died peacefully at home on Aug. 12, 2018. Patricia was born in Brooklyn. She lived in Staten Island for 38 years, then in Jackson, N.J., for two years. She attended Prospect Heights H.S. and received her bachelor's in education. Patricia worked for the NYC Board of Education as a paraprofessional at the Hungerford School. She retired in 2001. She was a volunteer at assisted living and enjoyed traveling, cooking and hosting at home. Patricia loved her children and adored her grandchildren. She always said she was so blessed by her family and the amount of love they shared. She bragged about the amazing bond they had. Patricia was predeceased by her brother, Peter Fanelli. She is survived by her beloved husband of 53 years, John Perno Jr.; her loving children, Vincent (Denise), Julia Perno-Rapaglia (Mike), Stephanie Kain (Scott); brothers, Rocco and Joseph Fanelli, and grandchildren, Alexandra, Chris, Matthew, Valerie, Juliana and Vincent Jr.
Funeral is from Bedell-Pizzo Funeral Home on Friday at 9:15 a.m. A Mass of Christian Burial is at Our Lady Star of the Sea R.C. Church at 10 a.m. Interment to follow at Oceanview Cemetery. Friends may visit Wednesday from 7 to 9 p.m. and Thursday from 2 to 4 and 7 to 9 p.m.